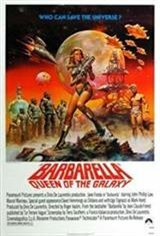 In the year 40,000, the President of Earth has the highly alluring Barbarella (Jane Fonda) deal with a young scientist who is threatening universal peace. Was surprised how much I enjoyed this movie. Wasn't expecting it to be so entertaining and humorous. Well done! Typical. Don't waste your money. Outstanding movie! Got a little misty eyed at times.